We don't usually do a straight up meat 'n potatoes meal, but there's a reason it's such a classic combination, and with that bison steak, it seemed inevitable. And just last week we bought some deliciously tender baby creamer potatoes that don't require any intense oven time or prep work, and were beautiful next to the steak. 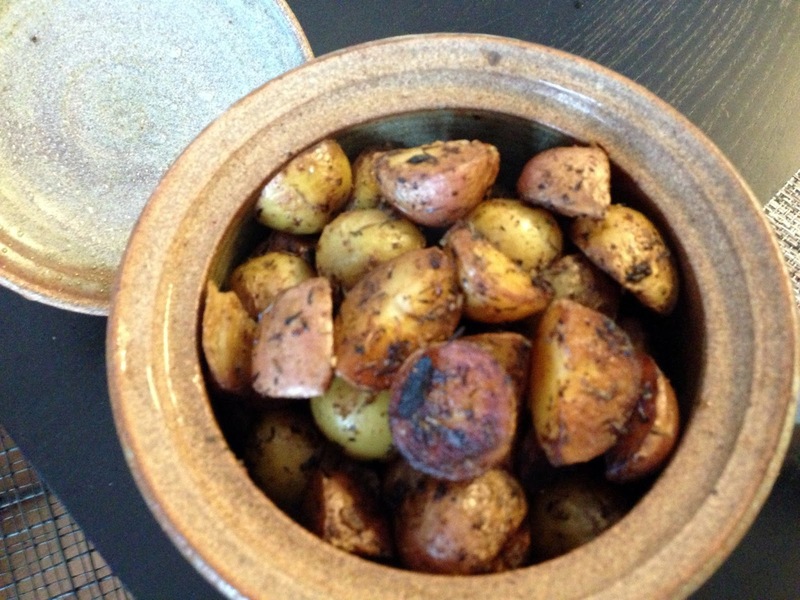 Cut the baby potatoes into halves or quarters if they're big (you could also just cook them whole since they're so small, but I love the crusty edges they get when you cut them, plus they cook much faster this way). In a heavy bottomed pan heat the duck fat on high, add the slivers of garlic, and saute until they are just turning golden brown. 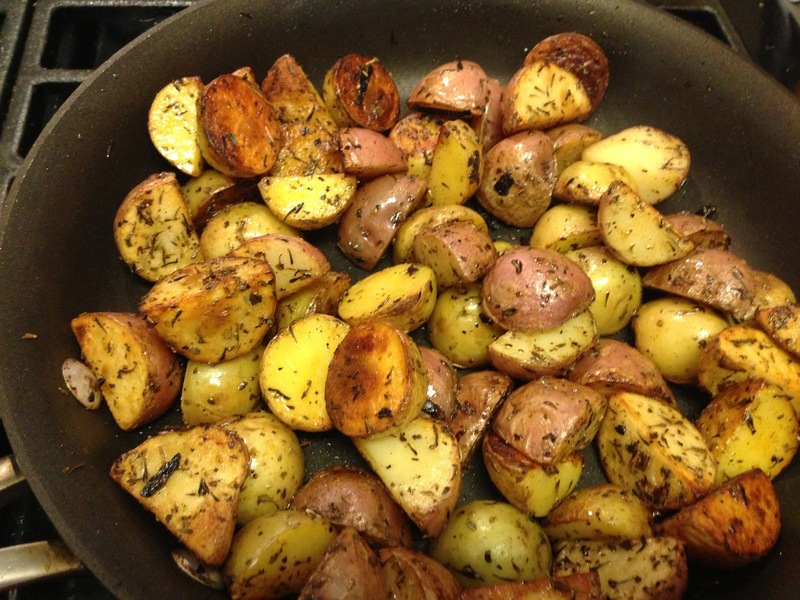 Add the potatoes, sprinkle the herbes de provence, salt, and pepper on them and saute. Don't stir them about too much - you want each side to develop a nice crunchy brown crusty. When you start seeing this crust on most of the potato pieces, stir them and flip them around a bit to brown the other sides. 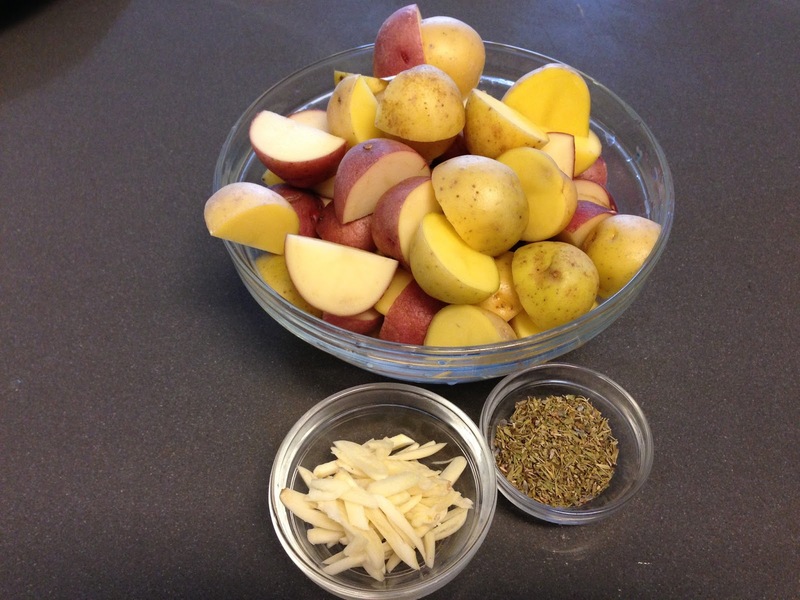 At this point you can lower the heat and continue cooking until done (a fork should slide in and out easily), or, if you want soft and tender potatoes with a little extra flavor but a little less crunch, add in the chicken broth and let cook until the broth has been absorbed/evaporated. Just before serving, crumble a couple of pinches of sea salt over the potatoes to give them some extra punch. Serve with a steak and salad for a simple yet oh-so-satisfying meal.